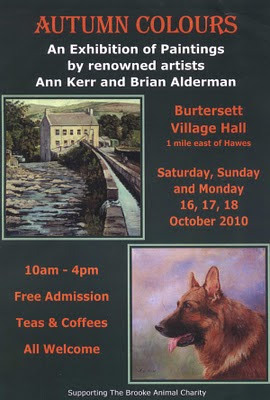 This is the poster we're using for our autumn art exhibition in the Burtersett village hall later this month. Coffee and free designer cup cakes to all who come along. 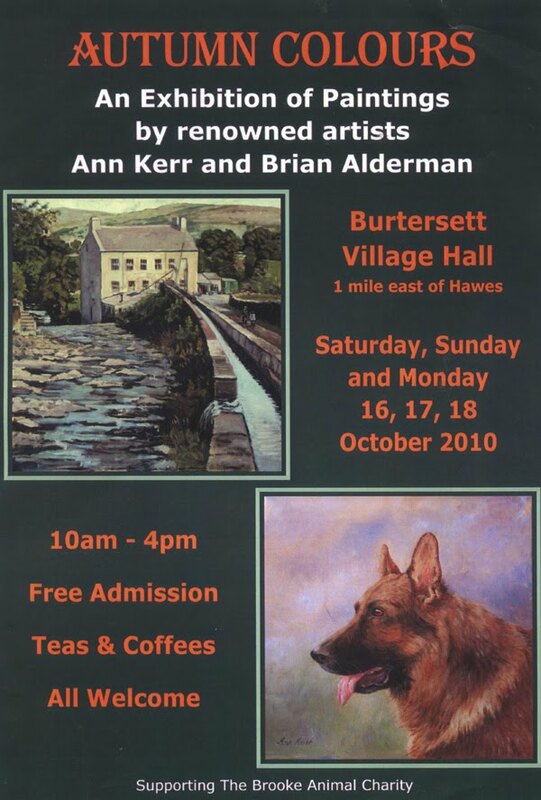 Ann will be doing her usual teas and scones in aid of the Brooke Animal Charity. I'll have some new works on show. Do come along!